This is your reminder to make sure you don’t miss our brilliant range of Naissance 2015 Black Friday Deals on 27th November, so save the date! 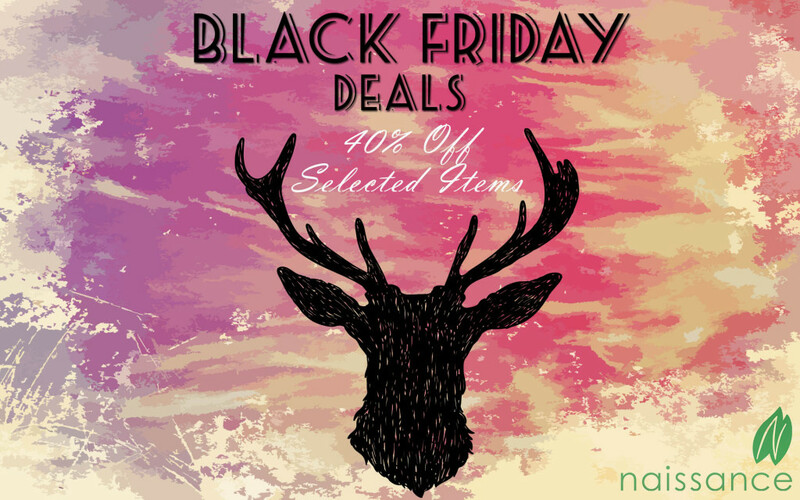 So, what exactly is Black Friday at Naissance, you say? Black Friday is traditionally an American sale that takes place the day after thanksgiving. In recent years, it has been introduced into British retail culture and the basic gist of it is that retailers offer crazy low prices, sales and discounts to their customers for the day or the weekend. So, we have gone through our site and carefully selected the best offers that we can to give you the best prices possible for this year’s Black Friday!